It's worth remembering, as the Homs evacuation is going on, the awful scale of the destruction wrought on what is an ancient city by the relentless bombardment it has suffered. Last month, this composite pic went viral on social media. The Guardian's Martin Chulov had a piece, and more composite images, here. David Miliband, president of the International Rescue Committee, is live on Al Jazeera now and talking about the Homs evacuation. "This is a crumb of comfort when what one needs is a whole loaf," he says. 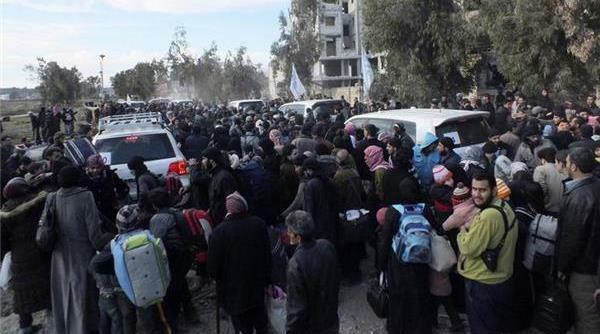 Activists from Homs are uploading what they say is footage of the evacuation. Al Jazeera cannot independently verify this footage. Over at Reuters, there's an interesting analysis from David Rohde that asks whether what is happening in Syria now poses "a direct threat" to the US. "A central question - the central question - regarding Syria remains in dispute in Washington, experts said. Does Syria now represent a direct national security threat to the United States? Hamid, who called for intervention in the past, said it does. 'They're saying now that fighters are going to be trained in Syria and come back to the US,' he said. 'We can't pretend that it doesn't have an impact on American national security interests.'" Russia has dismissed a new draft resolution demanding full access for aid workers across Syria. "It's a non-starter, it's very disappointing, even worse than some texts we saw a couple of months ago," Vitaly Churkin, Russian ambassador to UN told Reuters news agency. Australia, Luxembourg and Jordan presented the draft to the five permanent UN security council members. The UN is to start deliveries of aid and medical supplies to rebel-held areas in the Syrian city of Homs, a day after dozens of civilians who survived more than 600 days of army siege were evacuated. "UN teams have pre-positioned food, medical and other basic supplies for immediate delivery as soon as the first group of civilians are out and we hope to send this aid on Saturday morning," said the UN humanitarian coordinator in Syria, Yacoub El Hillo. 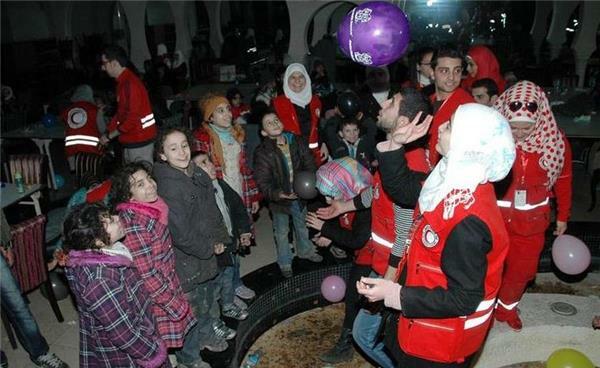 The Syrian Red Crescent's Twitter feed confirms that aid trucks and aid workers are being fired at as they try to enter Homs. In an exclusive interview, Recep Tayyip Erdogan, the Turkish prime minister, has told Al Jazeera the Geneva 2 talks on Syria have taken a negative turn. 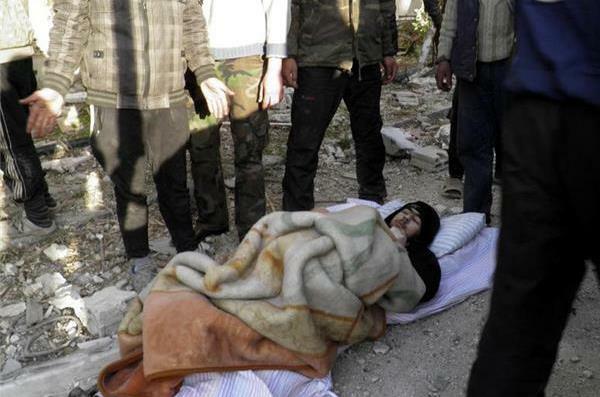 Al Jazeera reporter in Aleppo said Syrian government shelled al-Haidarya neighbourhood with barrel bombs, Sunday. A major public square where public service vehicles gather to pick up passengers targeted. At least 20 including six women killed. Several people have been reportedly killed and many others injured after a mortar shell hit the al-Qarabis district of Homs. Local activists told Al Jazeera that the shelling targeted the civilians, who were gathering to be evacuated from the area. Earlier, Talal Barazi, the governor of Homs, told Al Jazeera that UN aid started trickling into the old city after the shelling. It struck at the same time a humanitarian convoy was making its way into the city. 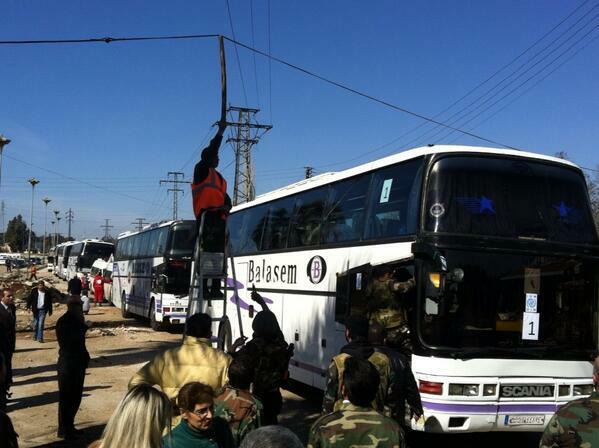 Humanitarian assistance teams have removed more than 500 people from Homs, sources told Al Jazeera. The number includes the 83 people who were taken out on Friday. 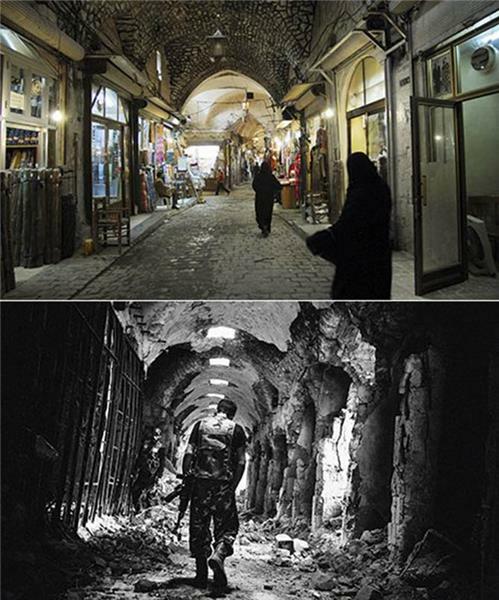 That is despite continued mortar fire in the Syrian city. The attacks are a violation of a three day ceasefire agreed by rebel fighters and the government. 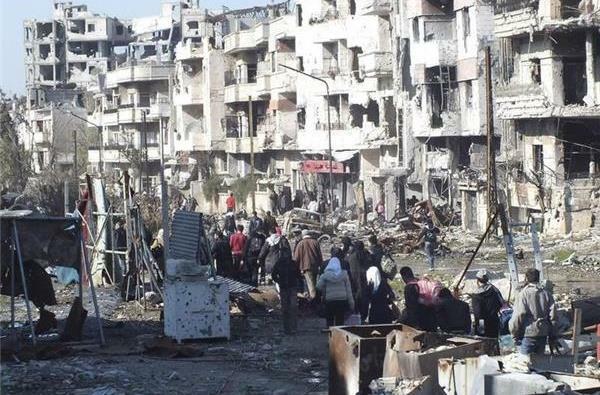 Meanwhile, Talal Barazi, the governor of Homs said a three-day extension to the ceasefire has been agreed. Aid organisations are rushing to get food and medicine into the city, where up to 2,000 people are still trapped. The UN has said it will keep pushing to deliver assistance in the area. A group of nuns from the historic Christian-majority town of Maaloula in Syria have appeared in a video obtained by Al Jazeera. The women are reportedly 12 nuns from a Greek Orthodox convent of Mar Takla in Maaloula who were seized by armed men in early December. The video, aired on Sunday, was recorded on February 5. The nuns appeared in the recording without audio, but a commentator said "they say they are in good health, haven't been mistreated ... and they are waiting for their release to return to the convent". There is no indication of where the nuns are being held, but they are Syrian and Lebanese and have been kidnapped. On December 6, Al Jazeera broadcast a short video of the nuns in which they denied they had been kidnapped. Geneva II update: The second round of peace talks started today, Monday, at the Palais des Nations. Lakhdar Brahimi, the United Nations' Joint Special Representative, met with the Syrian opposition delegation, headed by its chief negotiator, Hedi Albahra, and then with the Syrian government delegation, headed by its chief negotiator, Ambassador Bashar Ja'fari. The discussions centered on the agenda of the second round of the Talks, namely the cessation of violence and terrorism and the establishment of a transitional governing body in accordance with the Geneva Communique of 30 June 2012. A press conference with Brahimi has not been scheduled for today. Geneva II update: there will be a meeting on Friday 14 February at the United Nations between Lakhdar Brahimi, Russia's Deputy Minister of Foreign Affairs Gennady Gatilov and US Under Secretary of State for Political Affairs Wendy Sherman. A quick word on Wendy Sherman. She's number three in the US State Department and was Washington's lead negotiator with Iran. A New York Times article says "for the past two years it has been Ms. Sherman who had to master the technological detail, the flow of intelligence reports and the treacherous politics of striking a deal with a country still on the State Department’s list of state sponsors of terror." A second round of peace talks got off to a shaky start in the Swiss city of Geneva as humanitarian evacuation of civilians from the besieged city of Homs continued for a fourth day, Monday. The UN's World Food Programme has demanded safe and continuous access to civilians in the besieged city of Homs and other parts of Syria. Via statement released on Monday Ertharin Cousin, WFP's executive director, said "... Homs is just one of 40 besieged communities in Syria. Altogether a quarter of a million people have been cut off from humanitarian aid for months." Cousin's statement comes as talks in Geneva got off to a bumpy start on Monday. The Wall Street Journal's Sam Dagher is reporting from Homs and has been documenting the evacuation and aid relief process. The WSJ's Middle East blog has compiled his tweets and images. It also includes his interviews with This Morning, the WSJ's radio programme, which are worth a listen. "These people have been trapped in there for 18 months. They've been separated from their families, they haven't seen them for two years." 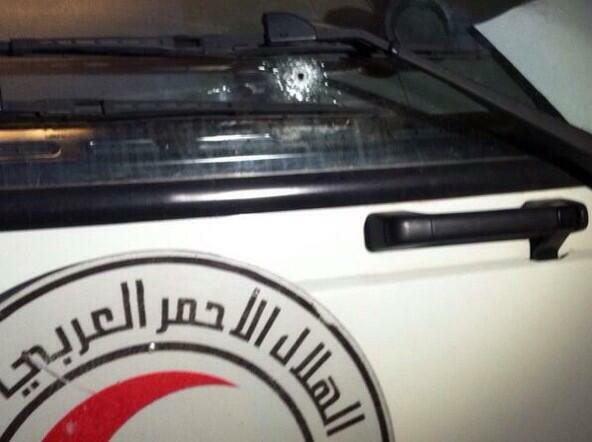 This video, published on Monday, shows what happened when UN aid vehicles went in to Homs. Almost everyone is on foot, carrying whatever possessions they can. The final shots, of the elderly woman stopping to pick up more bags, is very moving. 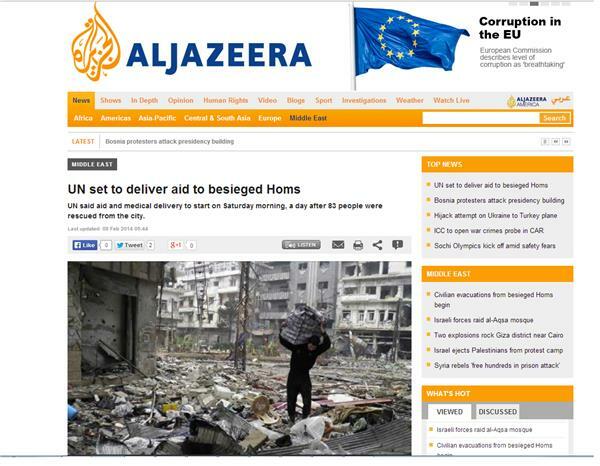 Al Jazeera's wrap of events in Homs and Geneva is here. There appears to be no more activity in Homs, but the focus has moved to the US, where a UN spokesman has expressed the Secretary-General's shock at Sunday's violence in Maan, where dozens of civilians were killed. conflict in 2011, the Syrian Observatory for Human Rights says. 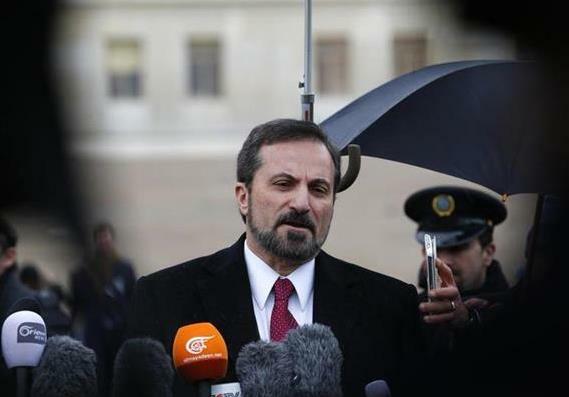 February 11, the British-based pro-opposition monitoring group said. Human Rights calls for the Geneva 2 talks to be suspended if [the talks do] not include an immediate halt to all military operations." Sergei Lavrov, Russia's foreign minister, said that Moscow presented its own draft United Nations Security Council resolution on humanitarian aid access in Syria after rejecting a rival Western-Arab text. "We have presented our own draft resolution on Syria to the UN Security Council," Lavrov told a news conference, adding that it laid out Russia's "vision of the role the Security Council can play if it wanted to foster a solution to the problems and not antagonise one side or the other". In this footage posted on YouTube, government helicopters drop several barrel bombs targeting the rebel-controlled district of Masaken Hanano in Aleppo, according to the activists who published the video. 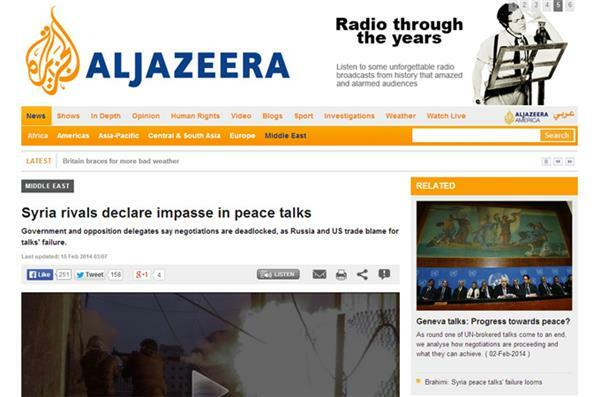 Al Jazeera cannot confirm the authenticity of the video. This video shared on YouTube shows the government forces shelling the rebel-held town of Al Rastan in Homs, according to the activists who published the footage. Al Jazeera cannot confirm the authenticity of the video. Government shelling and airstrikes with makeshift barrel bombs have killed about 400 people in Syria's largest city so far this month, activists said on Thursday. The bombings in Aleppo are part of a campaign by President Bashar al-Assad's forces to wrest control of neighborhoods that were seized by rebels in the northern city since mid-2012. UN envoy Lakhdar Brahimi is speaking to reporters after trilateral meeting with the US and Russia. Brahimi: Both the US and Russia have reaffirmed their support for talks and 'promised to help' to unblock the situation in the Syrian peace process. This video uploaded to YouTube is said to show the moments leading to the rebel attack on Aleppo prison on February 6. It purports to show Briton Abdul Waheed Majid standing and posing for photos before he embarked on his suicide attack on the prison. Chechen figher Saifullah al-Shishani who is said to have died during the assault is also shown in the video. 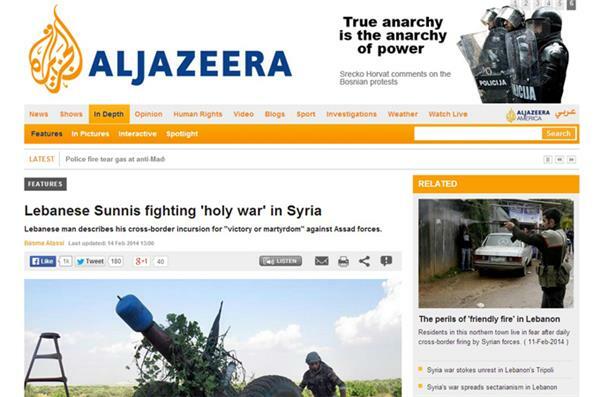 Al Jazeera cannot independently verify the content of this video or its claims. Abu Huraira is haunted by memories of shells falling from the sky, ripping to pieces people trying to bury their loved ones in a Syrian graveyard. He is unnerved by the mental images of mutilated bodies, and of bones laid bare in his rebel comrades' deep wounds. A second round of Syria peace talks in Geneva has made no progress, Syria rival delegates said, as the United States and Russia traded blame for the talks' failure to take off. "We deeply regret that this round did not make any progress," Faisal Maqdad, the Syrian deputy foreign minister, told reporters on Friday. "It was as laborious of all the meetings that we have had," UN mediator Lakhdar Brahimi says upon the conclusion of Round 2 of Syrian peace talks in Geneva. He says the two sides have agreed on an agenda for the next round of talks. The government believes the most important issue is "terrorism," while the opposition believes the most important issue is a transitional governing body, Brahimi says. "Both are very, very important subjects," Brahimi says. The first day of the next round should be set for a discussion on ending violence and combatting terrorism, and the second for a discussion on the transitional governing body, he says. "One day will not be enough to finish the discussion" on either topic, Brahimi acknowledges. The opposition is concerned the government does not want to discuss political transition, Brahimi says. He adds that it will not be productive for talks to "fall in the same traps" during the next round. People's hopes were "very high" that something would come of talks, Brahimi says. "The little that has been achieved in Homs gave them even more hope" that this may be the start of the end of Syria's crisis, he added. "I apologize to them that in these two rounds we haven't helped them very much." Brahimi urges both sides to "reflect" and come back "ready to engage seriously" on how to implement the Geneva communique. "Ending the violence, combatting terrorism is extremely important, indispensable," Brahimi says.